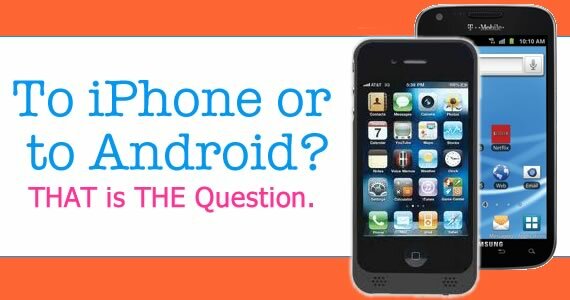 Digital Mom Blog > blog > Apple iPhone Maybe You Aren’t All That! I have been an Apple iPhone fangirl since getting my first one the first year they launched. The Apple iPhone was my gateway drug into the Apple religion. After buying the iPhone I was hooked. It was then on to talking my work into switching me to a Macbook Pro. After I got my almighty Macbook Pro, the Apple iPad came out. I talked my husband into getting me an Apple iPad (he ended up surprising me with it). After the Apple iPad, I was introduced to the Apple TV. Then the Apple iPhone 4 came out. So had to upgrade my iPhone to the iPhone 4. For Christmas, my dad asked what the kids wanted and to get my kids in with the Apple religion – I had him buy them each Apple iPod Touches. With all of my graphics work, I NEEDED an 27 inch Apple iMac. I bought the Apple iMac, but then when I quit my job I needed a laptop. So what did I do? I bought another Macbook Pro. When the new Apple iPad (3 hahaha) came out, I didn’t swoon too hard, but wanted an upgrade to the Apple iPad – so I upgrade to the Apple iPad 2. Needless to say. Apple. I love you. Yes, I have a sick addiction to your products, but I am here to say that I think that maybe the Apple iPhone and my may part ways sooner rather than later. 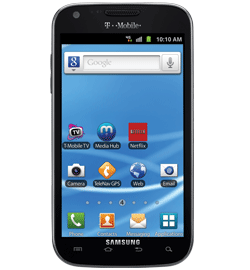 My sister Betsy got a new phone from TMobile – the Samsung Galaxy S II – Titanium to review. She was previously an iPhone user like myself, so wasn’t quite sure what to think of the move to Android. And then she tested the phone. My husband is a long time Android Fanboy. Sure, his phone did things like mine – but after seeing Betsy’s new phone and the advances that Samsung has made with a smart phone – I began to question my Apple iPhone obsession. Then my dad bought the same phone as my sister. He is CLUELESS on how to use technology, so I had to setup his phone for him. The more I played (err programmed) his phone, the more I softened myself to the Android. What has become of me!!! PLUS! Android now has Instagram! All that said, I am with Verizon for a little bit longer. I am contemplating buying an unlocked version of the Samsung Galaxy S II – seeing it’s the same cost as the Apple iPhone 4S. Converting from iPhone to Android is sounding better and better each day. Each day it seems a new phone is coming out, so I will just have to see which Android I end up with. Apple as much as I LOVE YOU – I just don’t see how you can keep up in the mobile market by releasing 1 phone a year. But please feel free to prove me wrong. Are You an Android Convert?